My name is Myriam, I’m 16 years old and I live with my mum and my two dogs in Berlin-Moabit. I like ro read and to play football. I’m also in a drama club, because I love to act and to be on the stage. 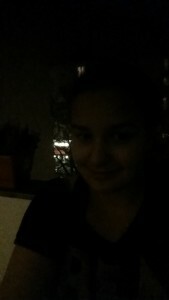 The photo shows me at my favorite place: the balcony of our flat. It’s beautiful to sit out there on warm summer evenings, to read or to listen to music.